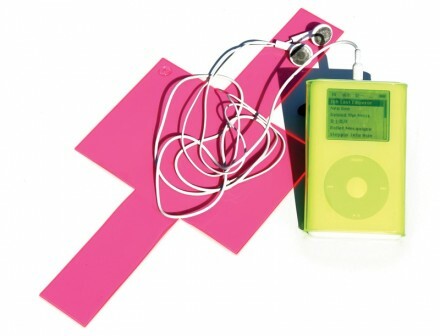 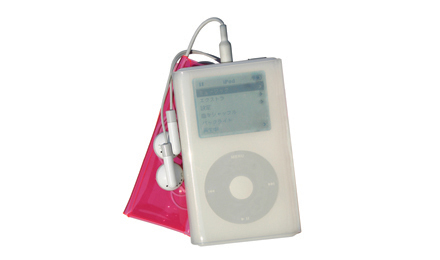 The iPod set consists of 2 furoshiki shiki; 1 to wrap firmly around the body and the second to encase earphones and cords. 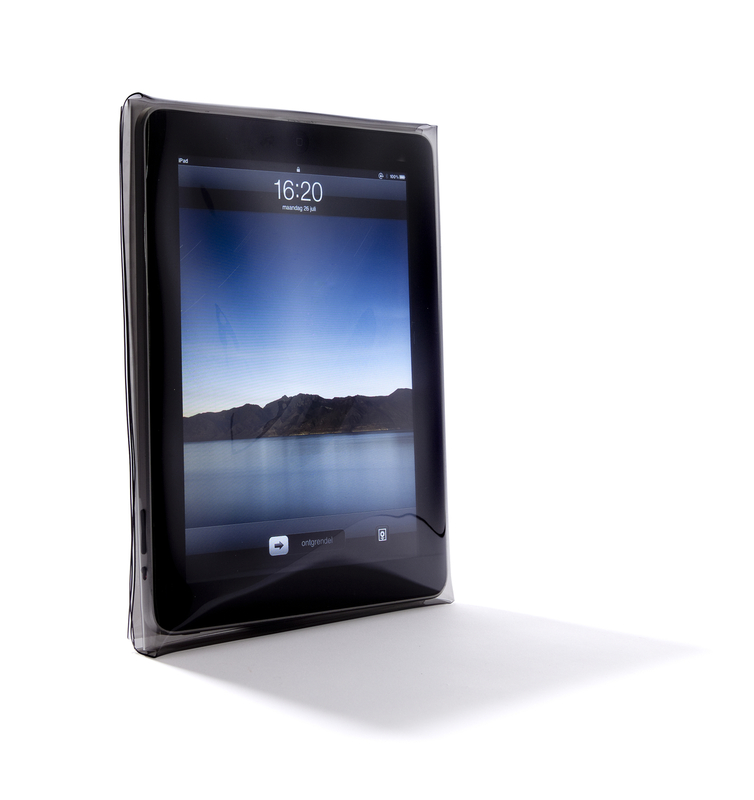 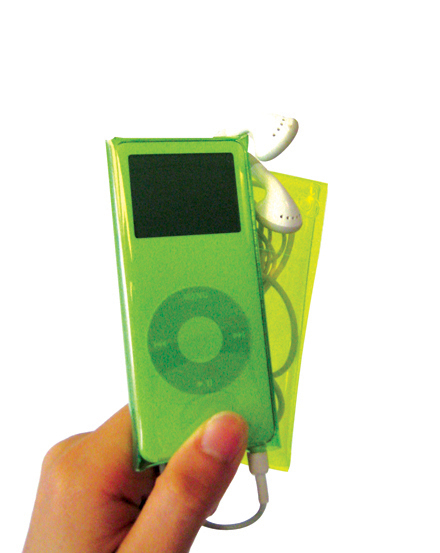 As the vinyl sheet is transparent, soft and thin, the iPod can be operated through the cover. 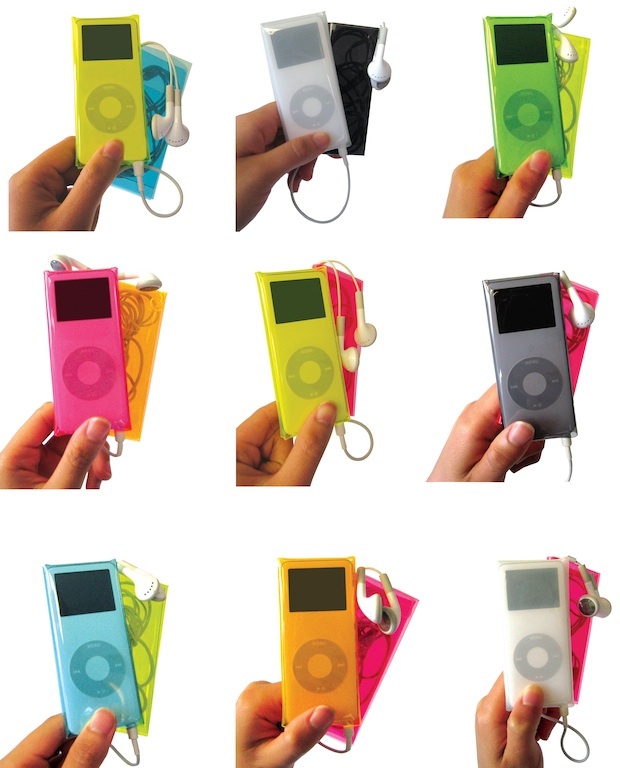 The long ‘wings’ of the earphone case make it easy to attach to the iPod body cover in various ways, forming an ideal combination. 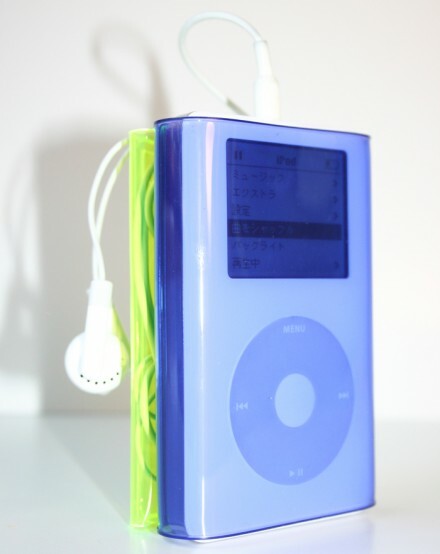 This design is strongly related to the development of the Ipod series by Apple, which quickly changes over time. 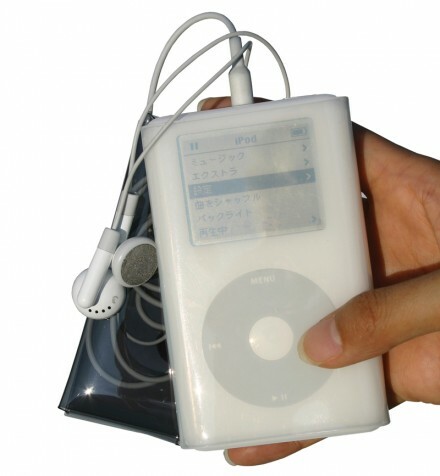 Our range has therefore been expanded to include a very popular IPAD furoshiki shiki.